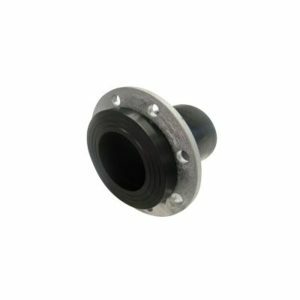 Bushmans stock a wide range of superior quality water tank accessories to ensure the most effective use of your tank. 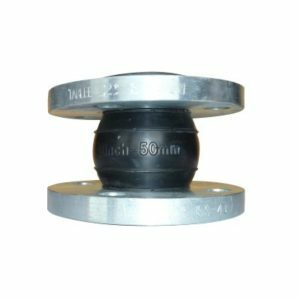 There are a range of water tank accessories and water tank fittings available to ensure you get the best setup and installation of your tank. 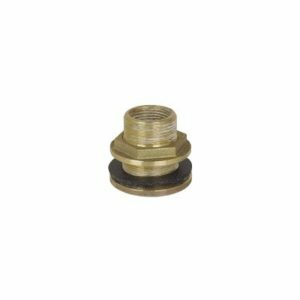 Bushmans water tank accessories range comprise of critical accessories such as water filters, brass outlets, gate and ball valves, hose and tap accessories and other water tank fittings. 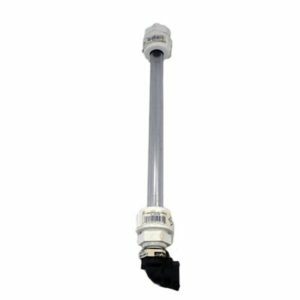 A water tank level gauge is a very useful addition to your tank and it allows the water level of the tank to be easily read. 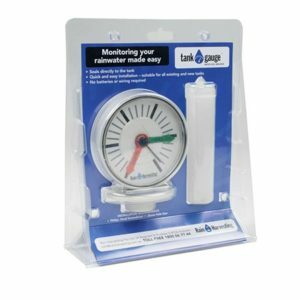 Water tank level gauges come in a number of different types including the simple dial gauge, dipsticks, and electronic gauges. Water tank filters are an invaluable addition to your water tank fitting. Water filters are used where there is a need to clean the water before use or consumption. Our water filters provide you with assurance that the water you are using is not contaminated. When using water for drinking and cooking it is recommended that a water filter is used. There are a range or taps which can be fitted to the tank for easy access to water. These work well with our water filters. Additional tank strainers are available as well strainer covers to prevent debris and leaf material entering the strainer. Additional outlets and ball valves are available for situations where there is a need for more than one outlet or connection to the rainwater tank. First Flush Diverters are installed on each downpipe that supplies water to the tank. They use a simple ball and seat system. The system does not rely on mechanical parts or manual intervention. The system works as the water level rises in the diverter chamber, the ball floats, and once the chamber is full, the ball rests on a seat inside the diverter chamber preventing any further water entering the diverter. All further water is then simply directed to the pipes going to the water tank. 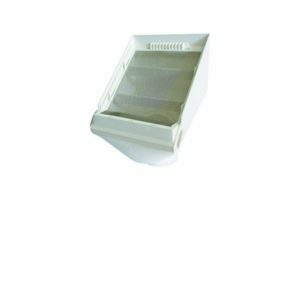 The first flush diverter system also prevents sediment such as, bird droppings, spiders, insects, mosquito eggs and debris from entering the water tank. Different types of rain heads are available, such as the leaf eater and leaf beater. Modern rain heads come with a new single screen technology increasing the effectiveness of the screen. The rain head inhibits leaves and debris from entering the rain harvesting system resulting in cleaner water and lower water tank maintenance. The rain head works by deflecting leaves and debris away from the flow of water. This enhances catchment efficiency. This rain head pivots so that the outlet that swivels to suit vertical or horizontal downpipes. These products are quick and easy to install, allow a high flow rate and have good mosquito proof stainless steel mesh. Extend the life of your water pump by keeping it protected from the elements and off the ground with Bushmans two-piece water pump cover. A water pump cover also reduces noise and can reduce problems with your water system through improved reliability. The elements; wind, rain and sun can impact on the life and reliability of pumps and it is important that the pump is protected. The best way of doing this is by installing the pump in a durable water pump cover. Bushman’s water pump cover not only shelters the pump but also incorporates a base that protects the pump from water and other issues that may arise by placing the pump straight off the ground, the cover can also be combined with other water tank fittings. Water pump covers are used extensively around the house, shed, or at commercial premises and ensure the pump as part of the rain harvesting system remains robust and efficient. If you need assistance with choosing the correct accessory or water tank fittings, please call us on 1800 287 462 or enquire online.